To register to attend and to view the auction items, please click here. 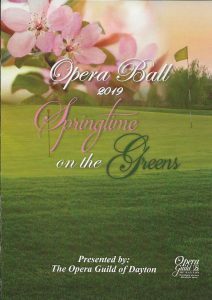 Chair Lois Sutherland and her committee are planning a luxurious and beautiful evening called Springtime on the Greens at Dayton Country Club on Saturday, April 27. 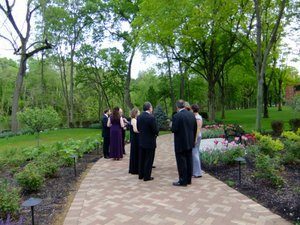 The setting and view of lush green fairways and budding trees from Dayton Country Club’s banquet rooms will be stunning as guests arrive beginning at 6:30. Sip a fine wine or cocktail as you browse the enticing array of silent auction items. Nibble a little from the bountiful table of hors d’oeuvres. However save room for your feast of either beef tenderloin, baked salmon or a vegetarian plate. The Bob Gray Orchestra will be returning with all of his fabulous tunes and vocals. 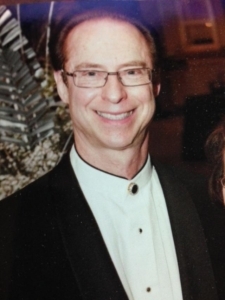 His music lures guests easily to the dance floor for both lively and romantic selections. There is an amazing array of auction items both Silent and Live! You won’t want to miss your chance to be the winning bidder for Contra Negra Premium Tequila basket or a basket of quality Bourbon or any one of the wonderful wine options. In addition, there are Gift Certificates for a variety of restaurants and retail locations, plus vouchers for museum memberships and tickets to amazing performances. There is even an opportunity to win a Neal Gittleman cheesecake. Many other items are available as well. Invitations have been mailed and the Guild encourages you to make your reservations early. The Patron Level is $175 per person. Silver Patrons are $225 and Gold Patrons are $250. Please click here to begin the registration process. You will be prompted to fill in your ticket preferences as well as food choices. Please add seating preferences to the “Special Requests” line on the ticketing page. Before you make your payment, you will be prompted to SIGN IN. Follow the steps to create or update your sign in information. If you need help with the online registration site, contact Susan Daly at 937/581-0319 or Kathie Thornburg at 937/477-6281. To register to bid online whether or not you purchase tickets, click “Please click here” in the previous paragraph then click the SIGN IN button at the top right of the page to which you are directed. Follow the steps to create or update your sign in information. To view auction items click “Browse Auction Items”. The Opera Guild encourages you to register to bid before the Ball even if you mail your ticket reservations. What a night–Saturday, April 28! Chair Kathie Thornburg led the planning for Singin’ in the Rain at the new downtown location of the Dayton Metro Main Library. The Bob Gray Orchestra played unbeatable dance sounds. Elite Catering created the culinary feast for the event. There were many beautiful memories for all those who attended. A full set of pictures is now available at https://ashleymaurophotography.pixieset.com/guestlogin/operaguild/?return=/operaguild/. The password is OG2018. You may use the pin 3217 for downloading. Enjoy! 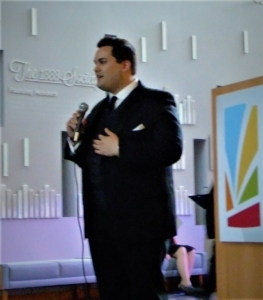 Among the highlights of the evening were the arias sung by former Artist-in-Residence of Dayton Opera, Michael Anderson. He explained the importance of this stage in a singer’s career as they transition from college student to full professional. 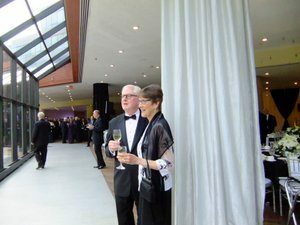 At Opera Ball this year the Guild toasted a celebration of life to three key longtime members and supporters of the Guild. Each of them passed away in the past year. They are all deeply missed. Barbara Haller, owner of Arthur Murray Dance Center in Miamisburg, and Bob & Diane Johnson have committed to being the Presenting Sponsor for the 2018 Opera Ball. The Guild is thrilled to partner with her studio and the Johnsons. They have been generous supporters for many years and the Guild is very grateful. 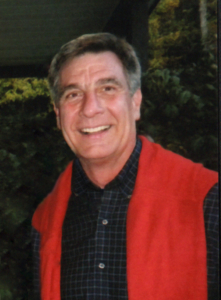 Roger Glass, owner of Marion’s Piazza, stepped up to become the first sponsor for this exciting event. Thank you, Roger. For the second year, GE Aviation has become a major sponsor of Opera Ball. They have committed to support Singin’ in the Rain at the Gold Level. The Guild is truly grateful to GE Aviation. Sebaly Shillito + Dyer law firm and SS+D Financial, Inc. investment advisors, along with Diana and Jon Sebaly, have joined to become a Gold Level sponsor. The Guild loves when such a great team comes together to provide this kind of support. Other sponsors are Heidelberg Distributors, Lee Monnin, Ingrid Brown & Troy Tyner, Bill & Toni Winger, James Free Jewelers, Schuerholz Printing and Terry Welker. Thank you, thank you, thank you. We welcome others to join in to support the many educational programs of the Opera Guild of Dayton and our support of Dayton Opera. Click here to read more about the work that the Guild performs. April 29 was truly a magical evening as the Opera Guild hosted its guests for a sparkling evening of fine dining and dancing from 6 to 11 p.m. The new venue at the University of Dayton River Campus was spectacular with a pleasant evening outside on the terrace. 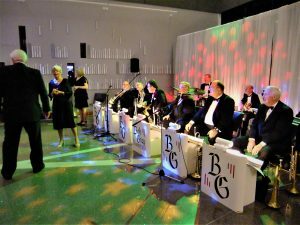 The Bob Gray Orchestra played fast and romantic favorite dance tunes. Vic Bonneau, president Electrical Power Integrated Systems business for GE Aviation, and his wife Karen led off the dancing as Dayton Opera’s Artist-in-Residence tenor Brian Skoog sang about the Starry, Starry Night. Click here to see this memorable moment. Another highlight was the high energy exhibition dance by six instructors from the Arthur Murray Dance Studio in Miamisburg. Click here to take a look. The Guild is so grateful to the sponsors who supported the Ball. Presenting sponsor was GE Aviation with Co-sponsor the University of Dayton. Gold Sponsor was Marions Piazza. Underwriting was provided by Heidelberg Distributing, Andi Rabiner, Mike Houser, Lee Monnin and David Criner & Diane Morgan of the Pillar Advisory Group of Raymond James. 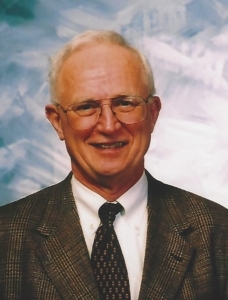 Significant Donations have been given by Bob and Diane Johnson, Sebaly Shillito + Dyer, as well as Bill and Jackie Lockwood. Thanks to all. Additional photos are available by clicking here. The whole evening supports the many educational programs of the Guild and the Dayton Opera itself. Thanks to everyone who help make the evening unforgettable.